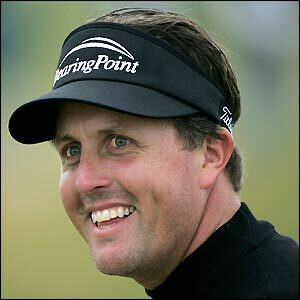 The LLama Butchers: Happy Birthday, Phil Mickelson! Born this day in 1970. Here's his O-fficial website. Mom is always on about us Llamas posting bits o' cheesecake here, so I figured I'd even things up a bit by tossing her a little beefcake, as she has always found Phil to be, ah, "yummy". Too bad he had such an eh Open this year.